This week, Black Lives Matter turned 3 years old. Over the past three years, the movement has grown exponentially — what started as a hashtag on Twitter has become a globally-recognized movement. 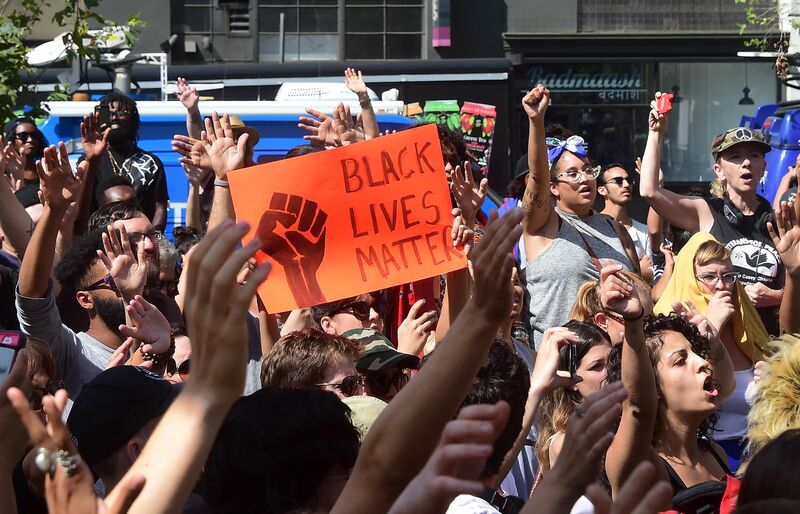 July 13 is not an accidental anniversary for Black Lives Matter — the hashtag began on the day George Zimmerman was acquitted for the murder of Trayvon Martin in 2013. #BlackLivesMatter has marked the unjust killings of dozens of other people of color in the three years since Martin was killed. Black Lives Matter is an ideological and political intervention in a world where Black lives are systematically and intentionally targeted for demise. It is an affirmation of Black folks' contributions to this society, our humanity, and our resilience in the face of deadly oppression. According to the Washington Post, the night George Zimmerman was acquitted, Alicia Garza, an Oakland-based activist, posted, "We don’t deserve to be killed with impunity. We need to love ourselves and fight for a world where black lives matter." Her friend Patrisse Cullors turned the final phrase of Garza's post into the hashtag: #BlackLivesMatter — Opal Tometi also helped the women found the movement. The Washington Post recently reported that three years after the movement was founded, there are 40 chapters of Black Lives Matter across the United States. Though there is no official Twitter account for the Black Lives Matter movement — because there is no centralized leadership — the page started by founders Garza, Cullors, and Tometi has 152,000 followers. The group's Facebook page has over 180,000 likes. According to Elephrame, in the 726 days leading up to the third anniversary of Black Lives Matter, 1,352 protests led by Black Lives Matter groups were held across the United States. One week before Black Lives Matter marked its third anniversary, the movement's worldwide power became clear: After the deaths of Alton Sterling and Philando Castile, ABC News reported that Black Lives Matter demonstrations were held in six countries, on three different continents. The countries included, South Africa, Holland, Germany, England, Ireland, and the United States. CNN reported that on July 13 — exactly three years after Black Lives Matter began — President Barack Obama met with Black Lives Matter leaders at the White House. The meeting was held to discuss the unjust killings of Alton Sterling and Philando Castile, and law enforcement officers were also invited to attend. Hopefully one day there will not be a need for the Black Lives Matter movement, because the worth of black lives will be so universally recognized.